The Royal Baby, the Prince of Cambridge, Kate and William’s son, the future King… this child has been given more names (and had more photos taken of him) in the first 24 hours of his life than any other baby in modern times – before finally being named George. 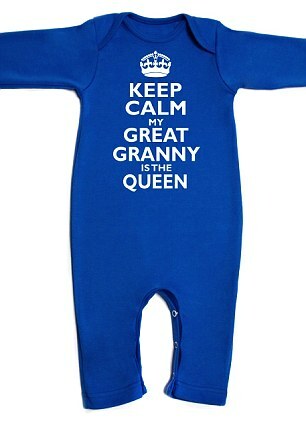 No-one is indifferent to the birth of our future Monarch, whether you are a fan of the royals or not. 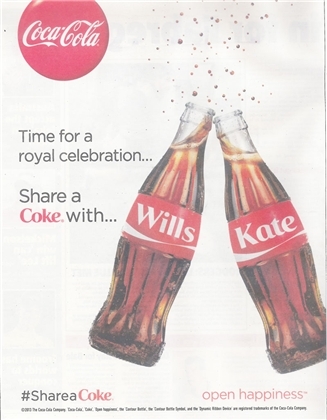 It’s estimated that Prince George of Cambridge will boost our economy by prompting $240 MILLION on spending – this is broken down into these estimated figures: £87 million on celebrations and party supplies, £80 million on merchandise and £76 million on media including books, DVDs, magazines, and newspapers. 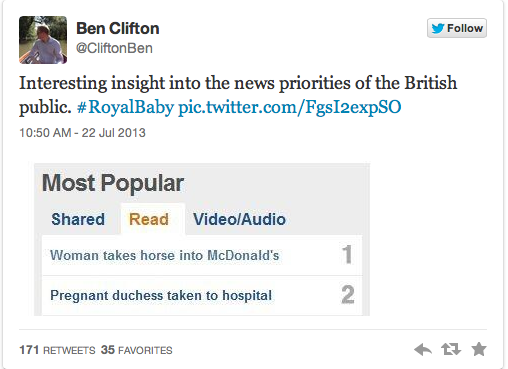 (http://www.huffingtonpost.co.uk/2013/07/23/royal-baby-economy-boost_n_3638066.html?utm_hp_ref=uk). 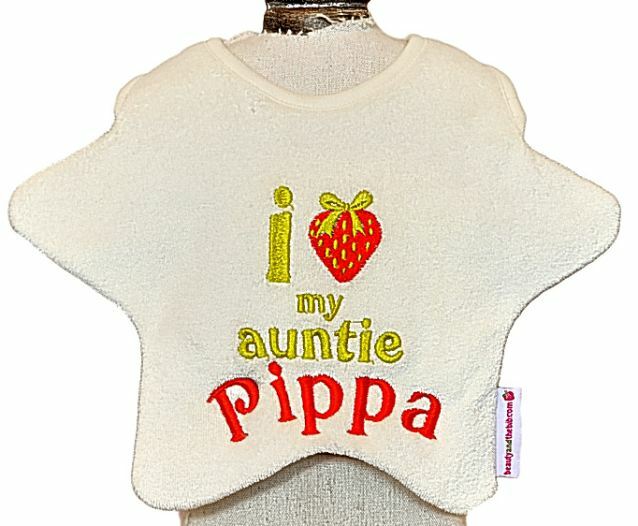 A huge amount of that spending is on merchandise but what kind of merchandise has this landmark birth actually prompted? Is this design that will last through the decades and truly represent the significance of this great occasion for Great Britain? Most probably not if you’ve seen any of it. 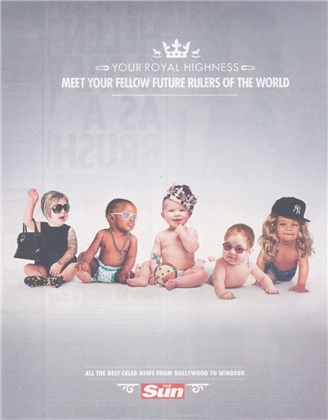 So have a peruse over the crème de la crème of Royal Baby memorabilia and decide for yourself whether you’ll be contributing to that £80 million figure or sticking with a trusty bottle of champagne. 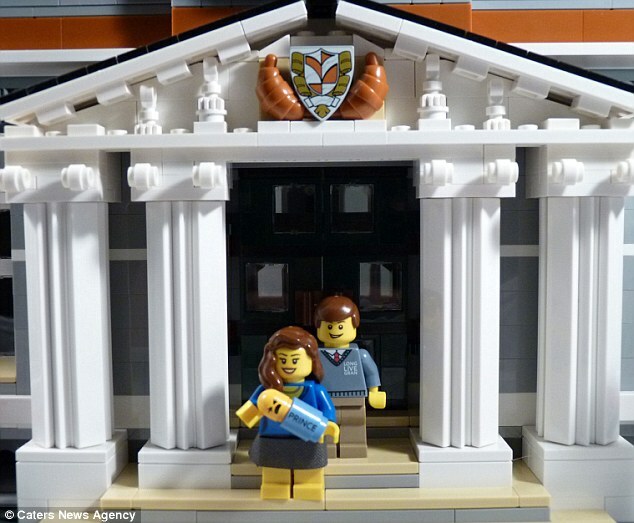 How about a Lego version of the couple? Created by a couple who are renowned for their bespoke designs, this isn’t the worst idea in the world but would you pay £30 just for two and a half tiny figurines? 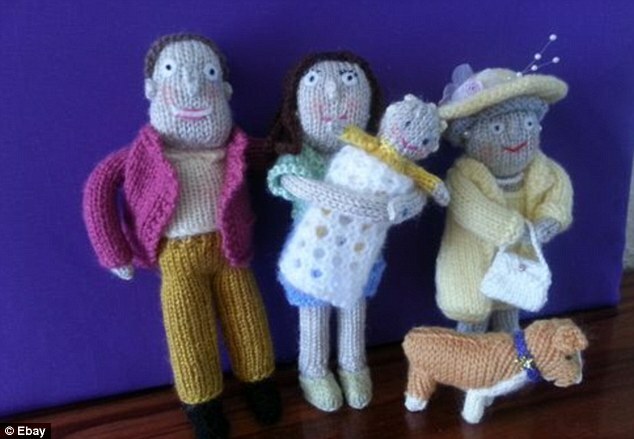 Scoot over to eBay and you’ll find homemade versions of the couple plus Great Granny, slightly more special given the handmade element but still not sure where you’d put them. 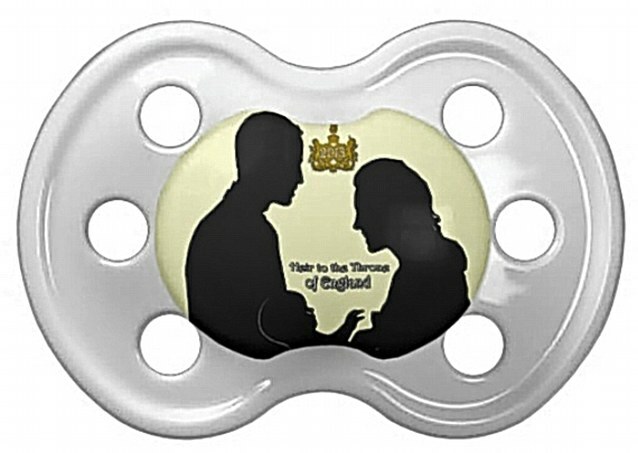 And if you’d like to pretend that your own newborn is actually the heir to the British throne then there are a multitude of products to choose from, not least of which is this dummy above. Personally if I had a child I’d want them to grow up with their own identity intact. 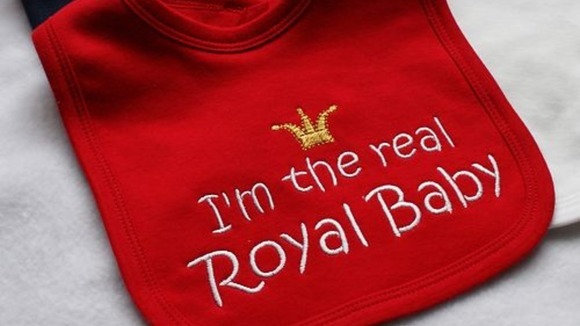 See more wannabe Royal Baby products below. 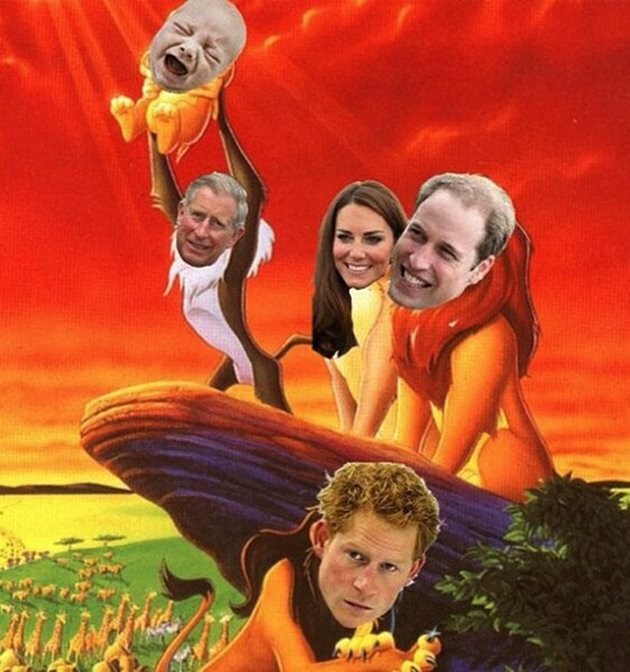 Aside from all this, the Royal birth has prompted some more entertaining responses from the world of social media, most notably this, which has been doing the rounds on Tumblr. And Twitter spoke of little else with Royal baby mentions reaching 25,000 tweets per minute post-birth announcement; whereas the #royalbaby has been used 900,000 times (this figure is still rising). 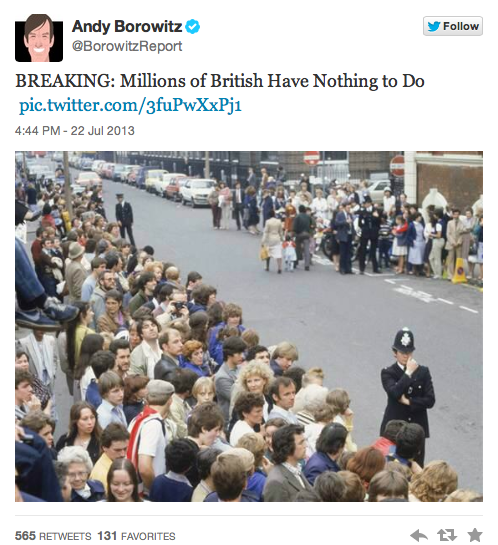 Some Tweets were serious, some not so… here are a few of the latter for your entertainment. 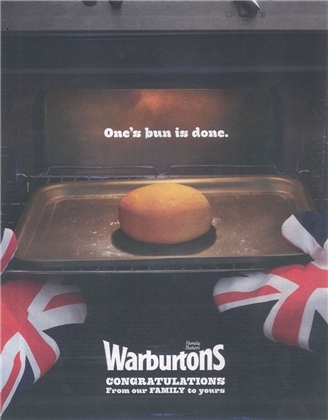 And finally… COME ON Britain, really?! But it hasn’t all been as tacky as (some of) these; we live in an age where the birth of a VIP has been saved from every possible angle in HD, thousands of articles have been published and will be forever available online at the click of a mouse and praise has come in thick and fast for the Royal couple who have shown from their behaviour that royalty doesn’t have to be a thousand miles from real life. 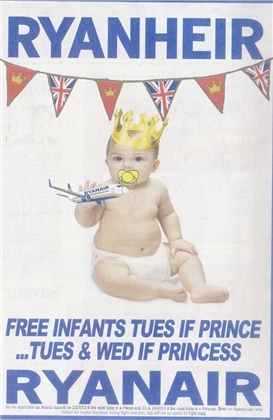 So congratulations to Wills and Kate and welcome to Prince George! Well… almost. It’s been a hot and stuffy Friday afternoon in the office and I’m finding myself trying to find inspiration in clever design when I came across this innovative idea by a charity called ColaLife. This began with the concept of using space in Coca Cola crates transported around developing regions, this is currently being trialled in Zambia. 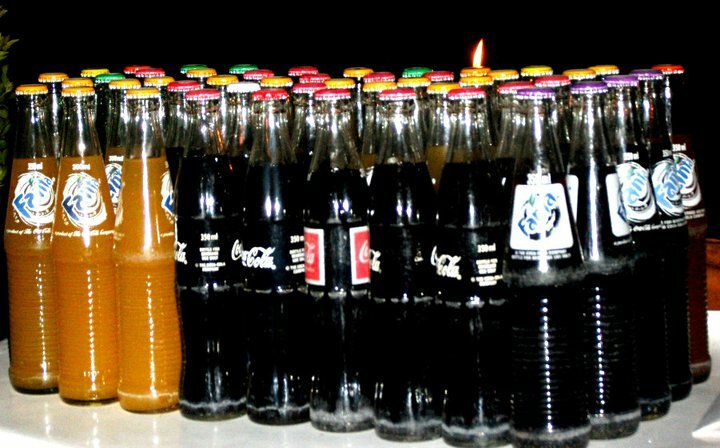 In case you aren’t aware, in some countries it is common practice for Coca Cola and other bottled drinks (for which we, in the UK, would expect plastic bottles) to be sold in glass bottles which are then recollected by the seller and sent back to the company to be refilled. This earns the seller extra money (they get paid a small amount for each bottle that they return), eliminates waste material and means that Coca Cola spend a lot less on material. Going back to ColaLife, they have noticed a gap in the market and a need that needs to be addressed. 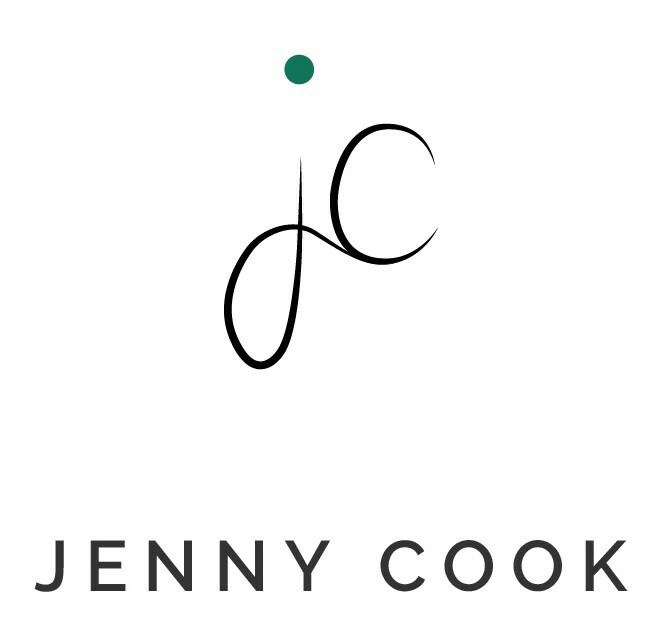 As a charity they have worked with a current service at no inconvenience to what is already in place. ColaLife realised that Coca Cola is something that is available virtually anywhere in the world but in developing countries there are areas where one in nine children die before their fifth birthday from preventable diseases like dehydration or diarrhoea. This is a heartbreaking statistic when you consider that this is sixteen times the average for developing countries where the same statistic stands at 1 in 152. One girl I met when I was travelling was called Joy, she was a part of the village that we were building in and she was clearly very ill. 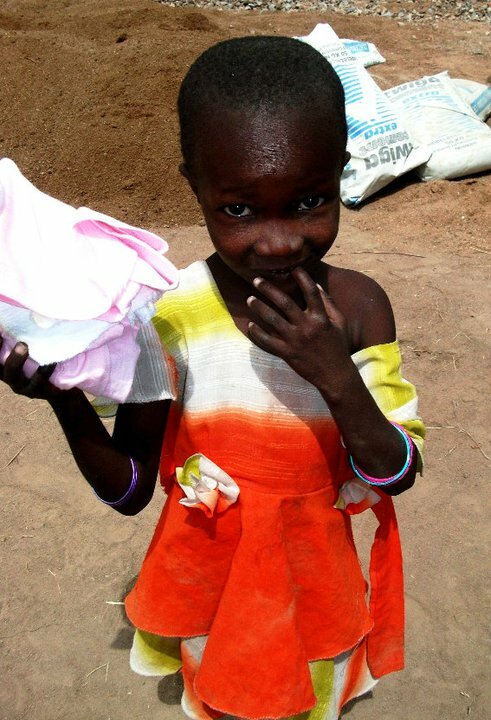 While we were in the village she was extremely shy – we would be playing with the other children and she would join in when everyone else did but she would never be the first to run to catch the bubbles or chase after the ball. After a couple of days we gained her trust and she liked nothing more than to sit on our laps and watch what was going on. On one of the days we went to the village there was a change, she was quieter and kept falling asleep… it was horrible to know that we had food in our backpacks and clean water but couldn’t give it to them (under orders from our team leaders and the fact that we couldn’t give everyone something) but eventually our team leader came and took a look at her and told us she was very dehydrated so he subtley took her parents aside and gave them a bit of food and some clean water to give to her away from everyone else. It is heartbreaking to know that now, two years later, she or someone she knows may have died from such a simple, preventable problem. So ColaLife have developed this system, see the photo below to see how exactly their products fit in with the Coca Cola bottle system that is already in place. 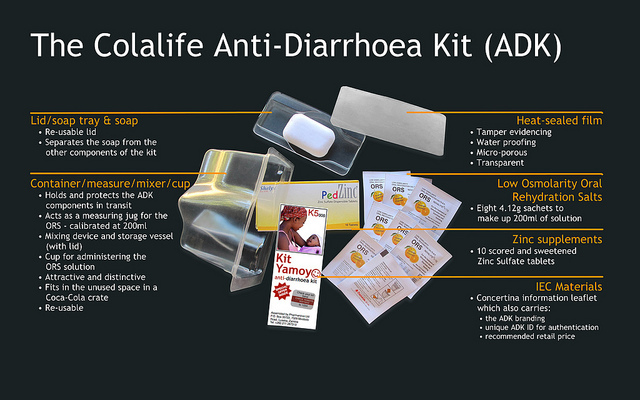 As well as carrying some simple but potentially life-saving products, the AidPod has other features. First and foremost it is a container for the products shown below but it also acts as a measure for the water needed to take the medicine and a cup for future use. So all in all this is an incredibly well thought through and resourceful product for use in a culture in which aid is often difficult to distribute. 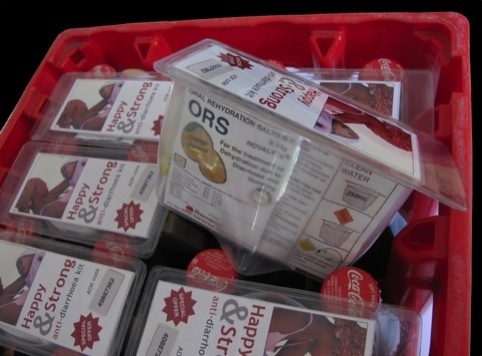 It has often been said that to get aid out into a community that isn’t ‘westernised’, we have to be sensitive to how their culture works – throwing medicines at them won’t work but integrating them into an already seamless system and making the most of the free (well, perhaps it’s not free but it won’t be super expensive) transportation and distribution systems that Coca Cola already has in place. This really is a truly inspirational product and while I’m sat at my desk designing leaflets/posters/brochures etc I can’t help wondering whether we, as designers, could lend a little of our time to thinking about how we can help those who aren’t in our immediate environment. We hear about poverty all the time, and I’m not blind to the fact that there is poverty to an extent within the UK, but the fact that one in nine children are dying from something that could be fixed with an AidPod fitted inbetween bottles distributed by a global brand? That’s something the designers within ColaLife should be insanely proud of.